This affirms it. Ohio women are temptresses and they cannot be trusted. At least if you are a Korean prince at the turn of the last century. Apparently, Ohio figures prominently in the final years and generations of the Chosun dynasty, as mentioned in this article. “Apparently Prince Eui-wha was somewhat of a ladies’ man. There are three alleged romances he had while studying in the United States.The first was with Miss Angie Graham of Wheeling, West Virginia, whose father was a missionary. According to the accounts, the prince called upon the young woman several times and there were rumors that they would become engaged but nothing ever developed. The second was Miss Clara Bull, a young woman who worked in a hat store in Delaware, Ohio, and was described as being so beautiful as “to make the ugliest bonnet a dream.” She was unlike any woman the prince had ever set eyes upon. He sent his aid to ask her for a date but she refused insisting that the prince himself should come and ask her — which he did. She eventually returned to her home in Cincinnati and the prince followed her. “There were flowers and candies and theater parties for her delectation … and a diamond ring blossomed on one of the fair one’s fingers,” but because she would not leave the United States for Korea; the romance died. 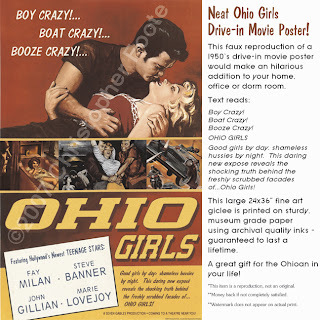 I always had my suspicions about the supposed “cordiality” of Ohio women.